Natural and Organic: Is it Better? 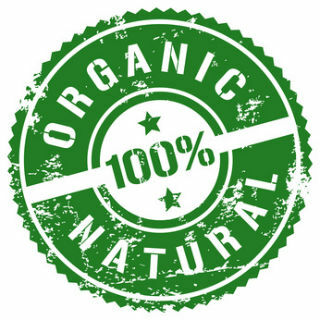 As I strolled through the local grocery store recently, two of the most prominent words that I noticed displayed throughout the shelves are “natural” and “organic.” This description is applied to many of the products that you and I buy on a weekly basis, but what exactly does it mean? And is it actually better for you? Two grocery sections that are most involved in the “natural movement” are organic produce and dietary supplements. Options for organic produce are definitely on the rise. Increased awareness of the pesticides and antibiotics used in our food supply has caused many Americans to think about the health concerns associated with the use of such chemical treatments. In fact, a 2012 study estimated that 81% of families are buying organic. We know that buying organic is more expensive, but is it really worth it? According to the Environmental Working Group, that may depend on which fruits and vegetables we’re talking about. Recognizing that an all-organic diet can be costly, the group put together two lists--the “Dirty Dozen” and the “Clean Fifteen”--identifying the foods that most (and least, respectively) retain high levels of pesticides even after washing and peeling. With that information in mind, I can go through the produce department and choose organic for fruits and vegetables on the “Dirty Dozen” list, like apples, grapes, spinach and strawberries. And I can save some dollars by buying non-organic choices from the “Clean Fifteen” list - sweet corn, onions, asparagus and cauliflower. But is there a nutritional difference? And what about vitamins and herbal supplements? Currently over half of all U.S. adults regularly take at least one dietary supplement. We take these for different reasons, but usually to provide the nutrients that we’re missing in our regular diet. Some of them claim to increase energy or make it easier to lose weight--who wouldn’t want that? But these claims aren’t always based on science, and there are risks associated with excessive consumption of these products. Just because the bottle has “natural” stamped right on the label, that doesn’t necessarily mean it’s safe to consume as much as you want. You really have to consider what you’re putting into your body when you take these supplements. In fact, it’s shocking to learn that many of the companies that produce these products don’t even have to test them for safety or purity! Of course, as pointed out by Dr. David Derrer, you should always talk to your doctor before considering dietary supplements, not only to ensure that you will benefit from them, but also to ensure they are safe. Most dietitians and physicians will tell you that it’s better to get the vitamins and minerals you need from a healthy diet. Keep in mind too that some dietary supplements can react badly with certain medications you may be taking. What are your thoughts on organic food? Are you currently taking any dietary supplements? Share your thoughts in the comments below!